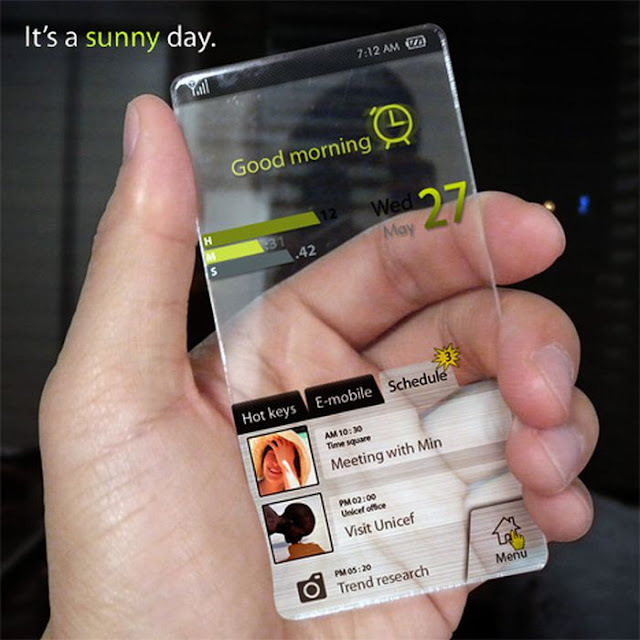 Pandora Machine Blog: Cell Phones of the Future. We're looking at a possible Robocop mockbuster-y script. It's a pretty brilliant enclosed-in-an-apartment-building script with zombies and fun by Steven J. Niles. One thing in the script that's pretty important is the cell phones. But this is the future and I worry that we have to come up with a decent design. I kind of dig this design though. I believe it's from here.